Do you have corn flakes for breakfast? And are you under the impression that they are healthful and ideal for weight loss? The it’s time you reconsider. Because, contrary to popular belief, cornflakes don’t aid in weight loss. They instead contribute to weight gain. Would you like to know more about corn flakes and weight loss? Keep reading. Corn flakes were developed accidently by Will Kellogg and his brother John Kellogg in 1983, with stale wheat. He and his brother made dough out of the stale wheat and then pushed it through a roller, but the outcome was broken flakes of wheat, which was toasted and served to patients at Seventh-day Adventist sanatorium where they worked. 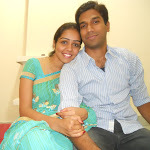 Their patients liked them, so they continued making it and worked on it till it became perfect. This was how corn flakes were developed, and now there are many brands available in the market that brag about their quality and ability to reduce weight. But are corn flakes good for weight loss? 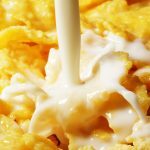 Are Corn Flakes Health Food? A cereal can be a good breakfast option if you select one that has less sugar and fat and also contains the right amount of nutrients. But if you make wrong choices, your cereal may contribute to weight gain. Many of us think that having corn flakes with milk is a safe and healthy breakfast option with a high content of nutrients, vitamins, minerals, carbohydrates and a low amount of fat. But the truth is that a box of corn flakes contains corn, sugar, malt, and high fructose corn syrup. Out of all these ingredients, corn syrup contains high Glycaemic Index carbohydrates. 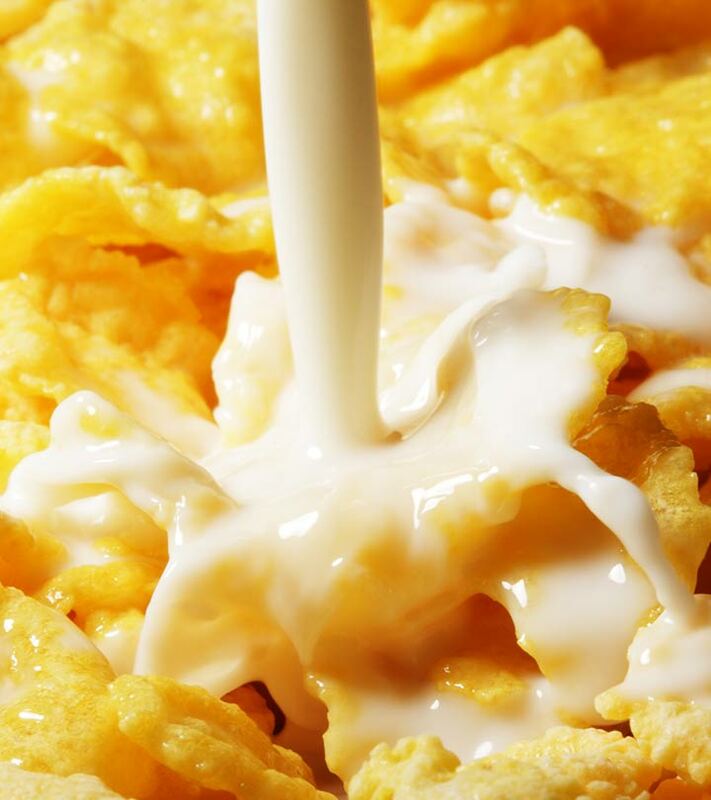 The proportion of sugar in corn flakes is so high, and many people add sugar or honey to corn flakes along with milk. This increases the sugar content of the cereal, and having this on a regular basis will result in weight gain. Various results have proved that intake of cornflakes causes obesity. All traditional weight loss techniques follow one thing in common – eat fewer calories. This is applicable in the case of corn flakes too. Most corn flakes packets recommend a serving size of 30 grams with 125 ml of semi-skimmed milk. Corn flakes are low protein foods. Although they make you feel full upon completing the meal, you would feel hungry again in just a few hours. A study of cereals published in the Times of India states corn flakes as an unhealthy breakfast for kids, and also for people who are aiming for weight loss. It also states that the amount of iron present in corn flakes is much less than the amount mentioned in the packaging (1). Another study conducted by a health magazine of UK has also stated that cornflakes cause obesity in kids. The study conducted on a group of kids with low GI (glycemic index) breakfast like bran, muesli, porridge and soya, and high GI breakfast like corn flakes, chocolate flavoured cereal or white bread, found that high GI group were more likely to feel hungry between the meals and they also ate more for lunch (2). For losing weight and remaining healthy, it is necessary to focus on calories and where those calories come from. Calories should come from a diet full of healthy, fiber-rich, protein rich, water-rich foods like fruits, vegetables, whole grains, and beans. Healthy foods are not easily available in packets, so please think seriously about what type of food you or your kids have for breakfast. Have you ever consumed corn flakes for weight loss? Have you noticed any changes? Do tell us how this post has helped you. You can comment in the box below. Are Peanuts Good For Weight Loss?